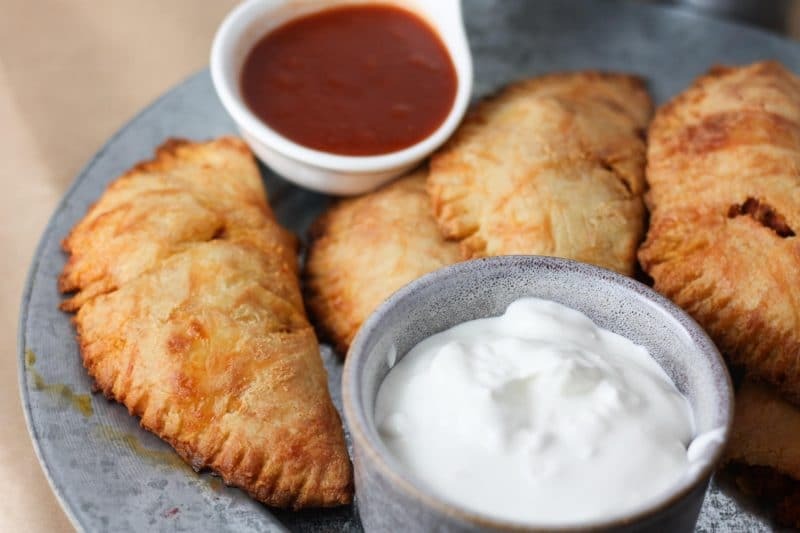 How to Make Low Carb Empanadas. 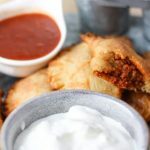 These Chorizo Empanadas are made with a ketogenic and low carb fathead dough then filled with flavorful chorizo making them a perfect low carb recipe for the keto diet! Another day, another batch of empanadas. 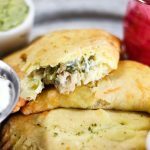 These low carb empanadas are hands down one of the best keto recipes I’ve ever tried, mostly because who would have ever thought we would still get to eat delicious empanadas and stay keto? 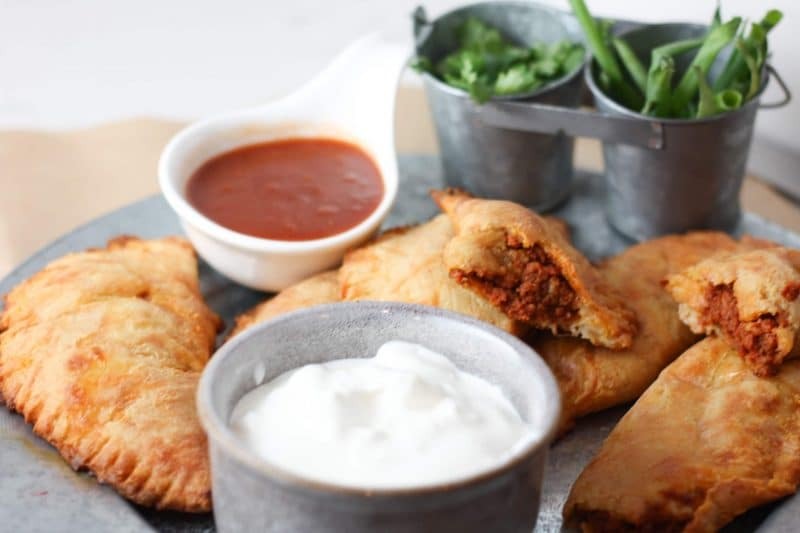 Empanadas are definitely a staple in our house, as I’m sure you can tell by the different varieties we’ve made so far: Ground Beef Empanadas, Buffalo Chicken Empanadas, Chile Verde Chicken Empanadas. 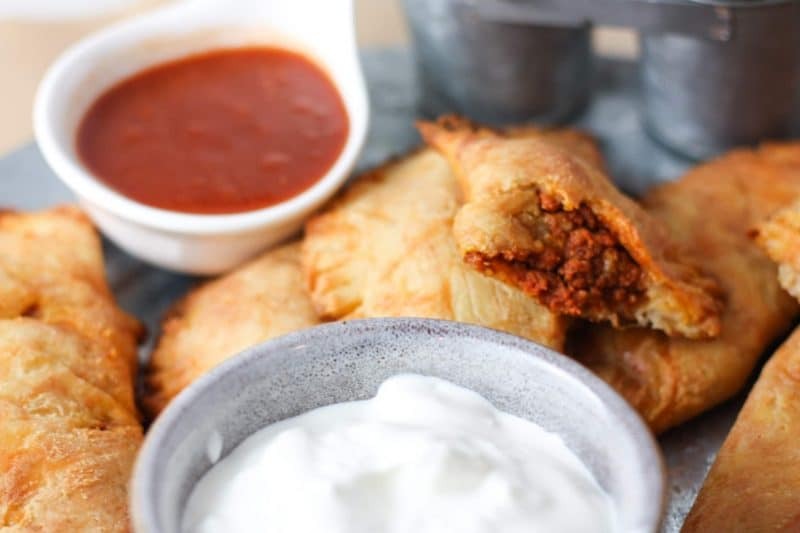 Now today we’re going to make some Chorizo Empanadas. I made these the other night for our Fantasy Hockey draft and per usual they were a hit. I think the chorizo goes really well here because it’s so flavorful and that flavor really shines in something simple like this. 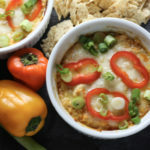 If you want to make a bunch of these ahead of time, you totally can and they would be great for game day, game night, tailgating, a random night during the week, etc. I’ve also taken them camping. 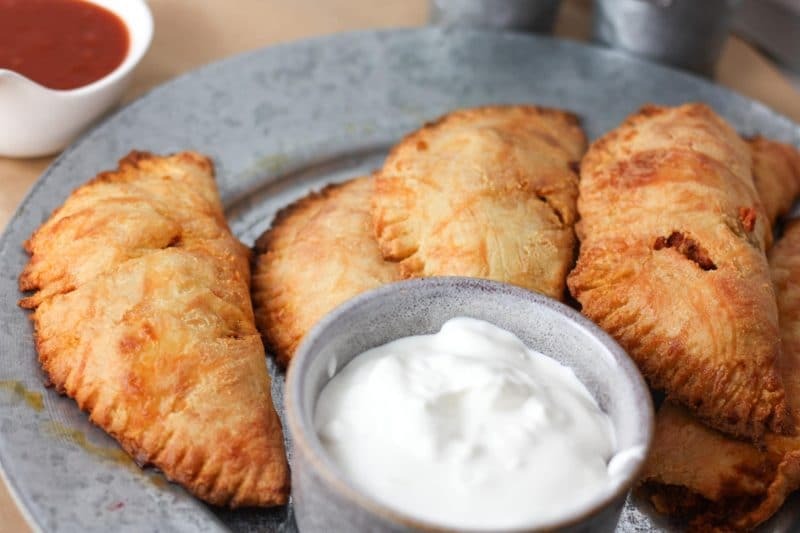 I just froze them prior to the trip and it was incredible to have a delicious empanada waiting back at camp after a long day playing outside. 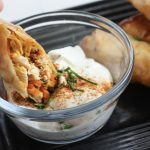 This recipe is pretty similar to the low carb fathead dough that’s pretty famous in the keto world so if you’re already familiar with making it, you shouldn’t have too many issues. 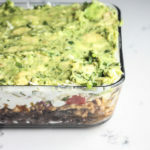 If you haven’t made it before or if you have found that sometimes you do have problems with it, make sure to check out the notes on the recipe because I give some tips on how to make it easier to work with. I wanna make sure we don’t have any problems getting these babies made! and then eaten. Enjoy! In a pan over medium heat, add chorizo to a pan and break up using a wooden spoon or spatula. Cook until done, about 10 minutes. Place a couple spoonfuls of chorizo into each circle on one half and then fold the other half over. Make sure to press down firmly on the edges. You can also slightly roll the edges to make sure they're together well or use a fork to gently push down the edges. 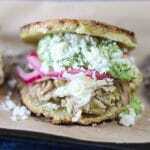 You can use whatever chorizo you like--pork, beef, chicken. 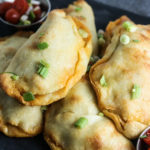 If the dough is too sticky to work with, you can do a couple things to help: add a little more Almond Flour to the dough, put the dough in the fridge or freezer for 15 minutes before working with it or rub some olive oil onto your hands. It’s really important to use Almond Flour instead of Almond Meal. Almond Meal will cause the dough to be kind of crumbly and it breaks apart easily but Almond Flour will make it light and stretch easily.